Over the past 10 years, Georgia and the City of Atlanta have been moving toward a legislation that ensures smoke-free environments. Currently, there are laws in place that restrict tobacco smoke in restaurants as well as other enclosed public places. These laws were passed in Senate Bill 90, known as the Georgia Smokefree Air Act of 2005. The bill aimed to reduce exposure to secondhand smoke by prohibiting smoking in most public places, including state buildings, restaurants/bars serving or employing persons under age 18, places of employment, auditoriums, classrooms, and medical facilities. Bars in Atlanta still allow smoking. Establishments must choose to restrict the type of patrons allowed if they want to have smoking in their restaurant. Restaurants that allow smoking must check IDs and only allow patrons that are at least 18 years old. For example, the popular Little Five Points restaurant The Vortex restricts the age of their patrons all day, every day. 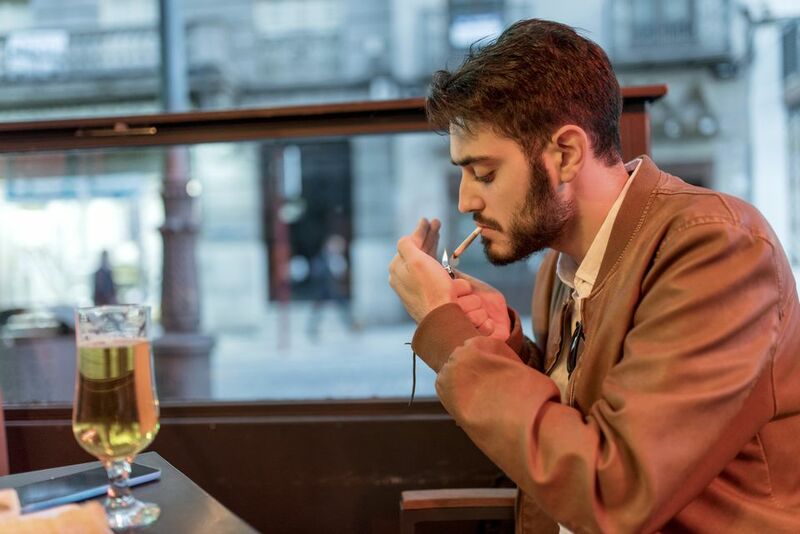 Some bars that act as restaurants during the day skirt around this by saying smoking is only allowed after a certain time (typically 10 p.m.), at which time, they begin to I.D. patrons. This is somewhat problematic in that smoke can linger in the bar and that bars may not strictly enforce the 18-year age requirement for minors already present in the establishment before the cutoff time. Other municipalities around metro Atlanta have enacted their own laws in recent years. For example, Dekalb County, Norcross, Alpharetta, Duluth, Kennesaw, Marietta, and Roswell recently voted to ban smoking in public parks. Dekalb also floated restrictions against smoking in bars, but the efforts did not get enough support to make the ballot. In Decatur, all restaurants must be smoke-free (not allowing for the 18+ exemption), and outdoor dining areas must also be smoke-free. Georgia State University passed new ordinances in 2012 that prohibit smoking on campus as well as in any university-owned vehicles. Since it is in the heart of the city, the campus borders aren't immediately clear, but the ban includes a 25-foot radius from any building entrances. Athens, home to the University of Georgia, has been one of Georgia's most progressive cities in terms of banning tobacco smoking. In Athens, smoking is not allowed in bars or restaurants. The University of Georgia also has banned smoking in some areas on campus and is working toward a campus-wide ban.